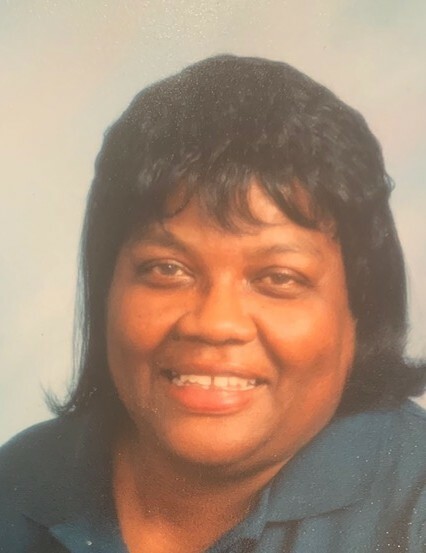 Obituary for Mrs. Mamie Lee Anthony | C. C. Carter Funeral Home, Inc.
Ms. Mamie Anthony transitioned peacefully with her family by her side on Saturday February 2nd, 2019 at Sentara Hospital in Hampton, Va. She was born September 8th, 1943 in Halifax County, NC to the late Walter and Geneva Pender. Ms. Mamie attended Brawley High School in North Carolina and after high school she worked over 50 years within the communities in which she lived. Mamie was a Rock to all who knew her. She was hardworking, giving, and sharp through her final days. She was devoted to her children, grandchildren, extended family, and all who called her friend. Ms. Mamie was preceded in death by her late husband Robert Lee Anthony, her sister Stella Clark, and her brothers, Joseph Bowers, Walter Atharon and Alton Pender. She leaves to cherish her precious memories her surviving siblings Rosa(Theodore) Lindsey, Bessie Pender, Barbara (James) Rowe, and Murel Pender; 5 children, Tyrone, Lamont, Troy, Darryl, and Cheryl Anthony; 10 Grandchildren Tyrone Raymond, Jamar, Dominique (Renee), Darrius, Shaniqua, Darrin, and Regis Anthony, Ashley (Ervy Sr.) Jones, Sharniece Edwards, and Shaelin Minor; 5 Great Grandchildren along with a host of extended family members and friends. Services for Mrs. Anthony will be held 1:00 p.m. Monday, February 11, 2019 at First Christian Church. 1458 Todd’s Ln. Hampton, VA. Viewing for Mrs Anthony will held from noon until 4:00p.m. Sunday, February 10, 2019 at C. C. Carter Funeral Home, Inc. It is the desire of the Anthony family that you keep them in your thoughts and prayers. The family of the late Mrs. Mamie Lee Anthony has entrusted her final care to the staff at C.C. Carter Funeral Home, Inc.